What happened to the Deluxe Edition re-release? No longer happening, it's been confirmed she'll release a new studio album this year. Providing there's no hiccups it should be out in April/May according to Cardi. I wonder if this means the lead will be out soon, or if they’re treating Money as the lead. She shot a new video recently. There’s rumors that it’s another Bruno collab, but that it’s her single. Money remains trash and should be kept as a one-off. Releasing a new track right after the Grammys would be smart - especially if it's another big Bruno collab that can be sent to pop radio. Money is #1 on urban right now but failed to do much, really. The video stalled under 50M views and the song never reached top 10. She and her team have been very smart thus far in terms of promo and rollout, so I'm sure they have a solid plan in place to push the next record. Leopold, Runawaywithme and bleachblondebaby like this. Cardi seamlessly floating into a second era at the level she's at right now is incredible, and it's smart to have a second record out this summer considering she's booking festival headline slots now. heavymetalGAGA, Leopold, Bobbyrae and 6 others like this. EnsnareTheSenses, heavymetalGAGA, theelusivechanteuse and 30 others like this. If the Bruno stuff is true, she's scoring a 4th USA Number 1. Cardi's whole Bazaar shoot is stunning. I might actually have to laminate my stan card. EnsnareTheSenses, Dijah., clean your wig fridge and 3 others like this. That cover is ICONIC. Stanning! (Is What I'm Doing). Mirwais Ahmadzaï and superultra like this. Oh wow. What an iconic legend!?! That spread? The aesthetic? The horses?! Madonna who!!! 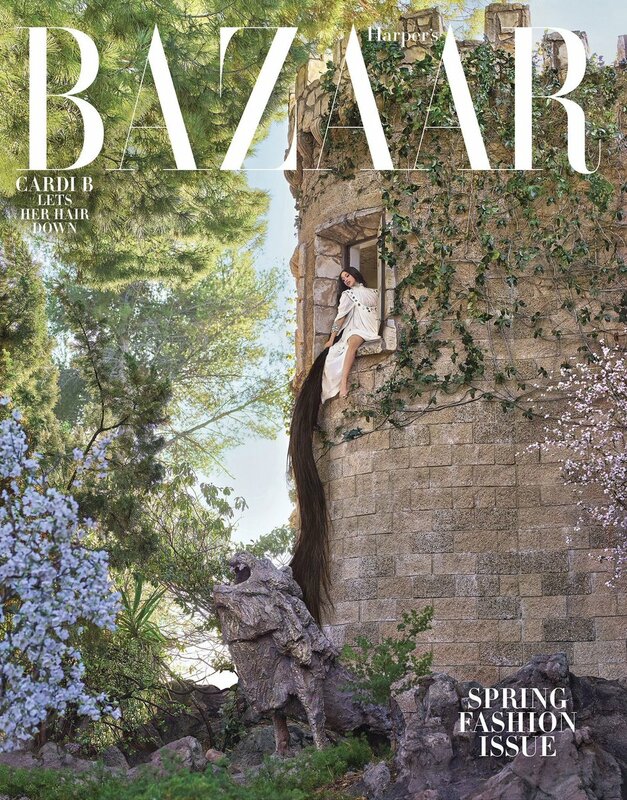 I actually gasped at that Bazaar cover! Breaktaking!!!! I'm really turning stan all of a sudden. The Mulan (?) picture. Dig that blade under my hairline and whittle my scalp away. Saycsar Fleurima and superultra like this. EnsnareTheSenses, heavymetalGAGA, GimmeWork and 12 others like this. Harper's Bazaar has been killing it lately. They're doing right by everyone, glad Cardi got to be one of those people. clean your wig fridge, Mirwais Ahmadzaï, Saycsar Fleurima and 1 other person like this. clean your wig fridge, Saycsar Fleurima and sesita like this. Another Pepsi commercial featuring Cardi only and Monet X Change! How the hell did they go with the main one when this one is 100x funnier?!? GimmeWork, MYCAL, elektroxx and 7 others like this. Scrapping the reissue screwed New Classic, glad it's been scrapped. Money was in on way fit to lead a worldwide campaign too. Andy French, aboutyounow and inevitable like this. Definitely. Invasion of Privacy has two huge hits and a number of other successful singles to keep it afloat for a long time now, may as well keep going while her popularity and goodwill is high, not to mention she's even bigger than the start of the campaign. Plus I hate re-releases.